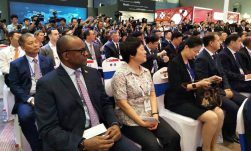 KINGSTON, JAMAICA – September 27, 2018 –Director of Tourism Donovan White met with route development professionals during World Routes 2018 in Guangzhou China. With China being one of the fastest growing aviation markets in the world, the Director is continuing Jamaica’s push to grow tourist arrivals from Asia. World Routes, dubbed “ the Olympics” and “World Expo” in the civil aviation community, attracted more than 3500 guests, including airport administrative organizations, governments and travel agencies from 115 countries – a record high since the first edition in 1995. The event presents an unrivalled platform for route development professionals to discuss, develop and plan network strategy. KINGSTON, JAMAICA- July 23, 2018- As today’s traveller seeks to immerse in the local culture, they want to connect with locals and discover a feeling of self-fulfillment through micro-moments they experience in anew destination. 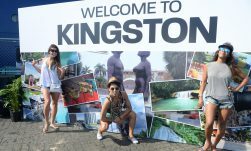 This summer, the Jamaica Tourist Board (JTB) launched its Join Me in Jamaica digital video campaign to connect travellers to the people of Jamaica and showcase the authentic experiences the island offers. To further promote the authentic experiences in Jamaica, the JTB is inviting consumers to explore the sights, sounds and flavors of the beautiful island, through a one-month long promotion where travellers can enter to win a specially-curated Join Me in Jamaica vacation. Marcia Sinclair, District Sales Manager Northeast for the Jamaica Tourist Board, presents on Jamaica’s Health & Wellness offerings during the Focus on the Caribbean seminar at the New York Times Travel Show (NYTTS) today. In its 15th year, the NYTTS is North America’s largest travel show and trade conference with over 30,000 consumers and travel professionals in attendance. The show opens today and runs through Sunday January 28th. We know there’s been a lot of conversation about the current situation in the Parish of St. James. Please be assured, Jamaica remains a safe place for visitors; these enhanced security measures are not out of the ordinary, and are in place to continue to ensure the safety of Jamaica’s guests and citizens. You can read the latest on our efforts from our Minister of Tourism, the Hon. Edmund Bartlett via: [link]. KINGSTON, JAMAICA – For the second consecutive year, Chicago’s Oak Brook Polo Club welcomed a Jamaican team which played for The Drake Challenge Cup, one of Oak Brook’s oldest and most celebrated trophies. Sponsored by the Jamaica Tourist Board (JTB), the Kingston Polo Club played their match in August and was captained by Marc Melville, as they challenged Chicago’s Oak Brook Polo Club for the trophy. 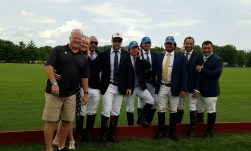 Above: Captain Marc Melville (second right) and members of his Kingston Polo Club, pose with Chicago’s Oak Brook Polo Club and Jamaica Travel Specialists Marc Ponti (left) and Karen Murdock (second left) during the Drake Challenge Cup. 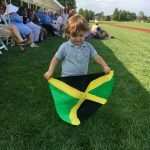 Young fan showing off his Jamaican pride. 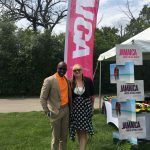 During The Drake Challenge Cup, Jamaica Tourist Board’s (JTB)Mark McDermoth, Business Development Manager – Midwest USA, hosted a field-side hospitality tent where top Jamaica Travel Specialists and Chicago-based media enjoyed the polo match, tasty Jamaican cuisine served with refreshing Red Stripe. Above, Mark McDermoth (left) shares lens with Jamaica Travel Specialist Karen Murdock at the JTB field-side hospitality tent. Other guests at the JTB hospitality tent included representatives from Chicago Magazine, Chicago Parent, Leisure & Hospitality International, The Chicago Chic and Social Life Chicago. Kingston-based Bikram Yoga Jamaica partnered with Bikram Yoga NYC to host an All-Reggae Bikram Yoga Class, on March 11 at Bikram Yoga NYC’s midtown studio. The sold out class was led by Yolande Lloyd-Small, who opened the Caribbean’s very first Bikram Yoga studio in Kingston in 2014. Yolande used the opportunity to promote upcoming Bikram Yoga Retreats to Kingston, recently ranked #24 on The New York Times’ ‘52 Places to Go in 2017’. Marcia Sinclair, Jamaica Tourist Board’s District Sales Manager, Northeast USA, was on-site to provide information on travel to the destination. Participants also had the opportunity to win a three-night weekend trip for two to Kingston, Jamaica – courtesy of Jamaica Tourist Board, Caribbean Airlines and the Spanish Court hotel. 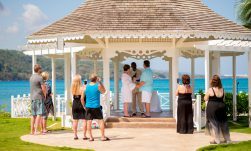 Approximately 500 couples shared their unique proposal stories during the Jamaica Tourist Board’s (JTB) recent Vow Renewal campaign in Canada. Hosted on Facebook, the campaign targeted couples interested in romantic getaways, vow renewals, weddings and honeymoons. The overall reach for this campaign was over 258,000 and it was valued at $140,000 CAD. To win, couples were required to enter their proposal story. At the end of the entry period, three proposal stories were randomly selected and Facebook fans were invited to vote for their favourite. 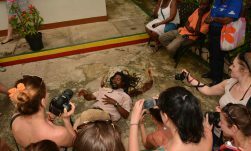 The entry with the most votes won a trip to Jamaica. 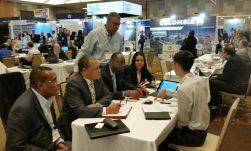 Jamaica participated in Routes Americas 2017, the travel event that provide opportunities to meet with senior decision makers from the region’s airlines to discuss new market opportunities and the evolution of existing services. The delegates only event was held February 14-16 in Las Vegas in the United States. Director or Tourism, Paul Pennicook lead the Jamaica Tourist Board delegation as they engaged the world’s leading airlines in negotiating travel routes to the island. Above, the Jamaica team is shown in discussions, from left to right are Director Pennicook, Audley Deidrick, President, Airports Authority of Jamaica and CEO Norman Manley International Airports Limited; Alfred McDonald, Senior Director Commercial Development and Planning, Norman Manley International Airports Limited; Francine Carter-Henry, Manager-Tour Operators & Airlines, Jamaica Tourist Board; Donnie Dawson (Standing), Deputy Director of Tourism, Sales, Jamaica Tourist Board and Nicholas Han(behind the desk), Senior Analyst Route Planning, JetBlue Airways. 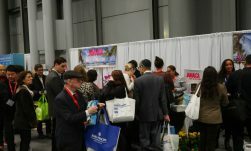 Travel agents flocked the Jamaica Tourist Board (JTB) booth during the recently held New York Times Travel Show at the Jacob K. Javits Convention Center in midtown Manhattan. 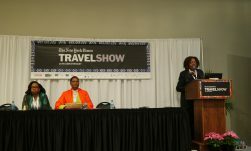 The NY Times Travel Show is one of the important events on Jamaica Tourist Board’s sales calendar. 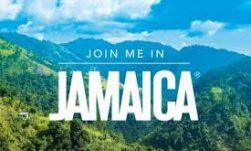 It provides an opportunity for Jamaica to showcase its many and varied offerings to an audience of more than 25,000 travel professionals and enthusiasts. Partnering with the JTB this year to provide consumers an opportunity to win all-inclusive 4-day/3-night vacations for two (accommodation only) were: AMResorts, Jewel Resorts/Hilton, Melia Braco Village and Palladium Resorts. Jamaica captured the spotlight at the 2017 Travvy Awards in New York copping four gold awards:Best Honeymoon Destination, Caribbean/Bahamas; Best Culinary Destination, Caribbean/Bahamas; Best Tourism Board Overall and Best Tourism Board, Caribbean/Bahamas. 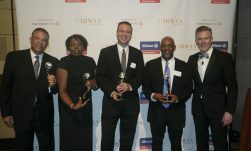 The awards were presented in the presence of hundreds of travel industry leaders last week (January 25) at Gotham Hall in New York City. The annual Travvy Awards recognize the highest standards of excellence in the travel industry and honor travel companies, travel products, travel agencies, and destinations for their outstanding achievements. Over 39,000 agents, who sell the vast majority of these trips to tens of millions of consumers yearly, vote and award the very best in the travel industry. The Jamaica Tourist Board (JTB) recently rewarded its top selling Jamaica Travel Agent Specialists with a three-night getaway that included tours, world-class dining, shopping and more. As part of JTB’s One Love Rewards Program, the top 50 agents from the United States, Canada and the UK were flown to Jamaica and given the royal treatment at Hilton Rose Hall Resort & Spa in Montego Bay. The vacation concluded with a special “All White Affair” gala where the top selling agents were presented with artwork specially designed by noted Jamaican artist Everald Powell. Minister Bartlett, in bringing greetings, lauded the group for their significant contribution to the island’s tourist industry. He noted that as a group, they helped the destination achieve what has been a record breaking year, noting that between January and October of 2016, Jamaica had earnings totaling US$2 billion, an increase of 5.7 percent over the same period last year. Total Room Nights booked by the Top 50 agents was nearly 115,000, which earned the island in the region of US$25 million. MS Monarch cruisers are treated to a festive and colorful arrival. Tours of historic locations in and around Kingston including Port Royal, Devon House and the old capital of Spanish Town were planned for the passengers. With the opening of the North-South Highway, visitors were also able to visit Dunn’s River Falls in Ocho Rios. 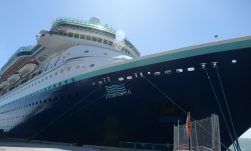 Kingston welcomes the MS Monarch, Royal Caribbean’s Pullmantur-operated ship. To date, this is the biggest cruise ship to ever call on the capital city. Additionally, Ocho Rios port hosted Norwegian Cruise Line’s Norwegian Epic and Princess Cruises’ Coral Princess while Montego Bay port hosted Thomson Cruises’ Thomson Dream and AIDA Cruises’ AIDAmar. This buzz of activities comes fresh off the heels of Jamaica winning the “World’s Leading Cruise Destination” title by the World Travel Awards on December 4. Topping all Caribbean destinations, Jamaica won a total of nine awards total, won individually and through its resorts and travel partners. 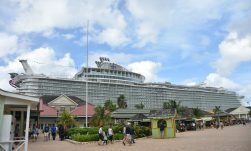 Jamaica welcomed six of the world’s largest and most renowned cruise vessels and megaliners in the ports of Falmouth, Montego Bay, Ocho Rios and Kingston. This was the second time in the past four years that this number of ships were docked in Jamaica at the same time. With the six vessels in port, Jamaica played host to over 15,000 cruise passengers eager to explore the vibrant destination. 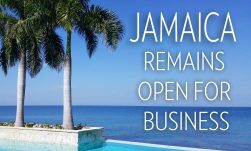 Jamaica remains on track to have a record year in tourism as the island continues to register growth of over 5% for both tourism earnings and visitor arrivals. From January to October 2016, Jamaica recorded earnings of US$2.06 billion, which represents an increase of 5.7% over the amount earned for the same period last year. The island also registered an increase of 5.1% in visitor arrivals over the same period last year, with 3,100, 235 total visitors. “Our arrival figures and tourism earnings, from January and October of this year are very positive and an indicator of the considerable impact tourism is having on the growth agenda. Our tourism earnings continue to outpace our arrivals, which is quite significant. It is clear, that we remain on track to have a record year in tourism,” said Minister Bartlett. A Jamaican feast it was, as Jamaica’s esteemed culinary maestros, Chef Christopher Golding of Half Moon Resort and Martin Maginley Executive Chef at Jamaica’s Round Hill Hotel and Villas, dished out a delightful fare at Condé Nast Traveller Chefs’ World Series in London on November 1. 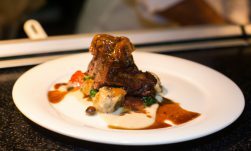 The pair was joined by Chef Vernon Samuels of Rudie’s in London as they tantalized the taste buds of food connoisseurs. The Condé Nast Chefs’ World Series brings top culinary talents to London, creating unforgettable feasts with global twists like Chef Martin’s Red Stripe Lager Braised Beef Short Rib and Heirloom Beet Shooters with Ginger Mint Pearls; Chef Golding’s Coconut and Annatto Poached Snapper Fillet and Roasted Pumpkin Lobster Bisque. 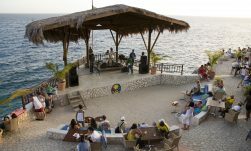 The Jamaica Tourist Board was the main partner of the event. 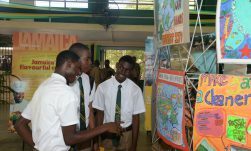 The Excelsior High School, which has the distinction of being the first institution to form a Tourism Action Club, was the venue for the Tourism Action Club 20th Anniversary Celebration and Poster Exhibition. The event saw the participation of a number of schools and provided the opportunity for the JTB to publicize the successes and benefits of the Club. 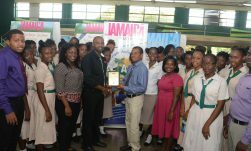 Highlights of the day included the announcement of St Jago High School as the winner of the TAC 20th Anniversary Poster Competition. Additionally, there were radio interviews with former TAC members Minister Floyd Green, Minister of State, Ministry of Education, Youth and Information; Gavin Myers, Events Coordinator, National Integrity Action and Dr Alfred Dawes, Senior Medical Officer, Savanna-la-Mar Hospital. Other interviewees were, Radcliffe Haynes, former staff advisor at Excelsior High School who started the club 20 years ago, Principal Deanroy Bromfield and current TAC member Aisha Downer. All lauded the TAC for its role in their academic and personal development. Excelsior High School was presented with an award for their unbroken commitment to tourism education as the inaugural Tourism Action Club. Jamaica is seeing impressive growth, with an estimated 1,756 rooms to open by the end of 2017. “We continue to attract new brands as we focus on expanding our accommodation portfolio,” said Paul Pennicook, Jamaica’s Director of Tourism. He continued, “the new developments that will come on stream in the last quarter of 2016 and first quarter of 2017 are good indicators of the strength of the product, and a promising outlook for the future. 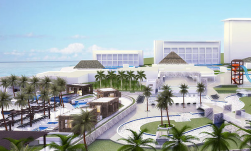 We are constantly making room to welcome more visitors to our beautiful island.” The new hotel developments that are coming on stream will be in the resort areas of Negril, Montego Bay, Ocho Rios and Kingston. The recently opened North-South highway adds to the appeal of the island as travel from Kingston to Ocho Rios is now under an hour. The Jamaica Tourist Board (JTB), will over the next several weeks host approximately 100 travel agents as they get apprised of updates in the island’s tourism product. The agents who are from North America, will visit accommodations, attractions, enjoy the island’s gastronomic offerings and rich culture. Great care has been taken to ensure that they are exposed to the diverse offerings of the destination. Familiarization tours are part of the strategy used to promote Jamaica, as the JTB and its tourism partners expose travel agents, so that they are empowered to promote the destination.